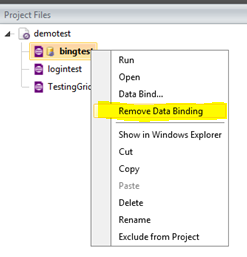 In this post we will learn the way to add and remove Data Binding from a Web Test in Test Studio. Before binding data on a test, we need to have DataSource added in the project. We can add DataSource as following. Choose the type of data source you are interested in adding. After choosing data source browse to file location to select the data source. 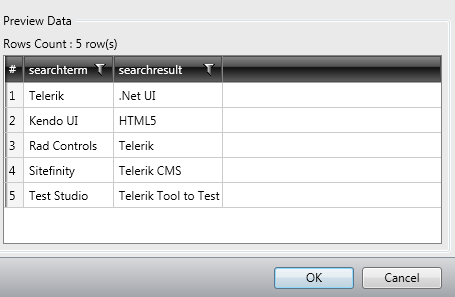 Click on Ok button to add data source in the Test project. After adding data source verify in Data Sources that data source being added. In this case we have added an Excel File as data source with name searchdata. Once data source is added in the project we need to follow below steps to bind a data source to a test. Bind test to data source window will get prompted to you. Here you need to select the data source. In drop down you will get the entire data source added to the project. You need to choose one to create data binding for the test. 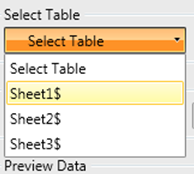 After selecting data source you need to select the table or sheet in case of excel. Once you select the sheet data will get displayed for the preview. 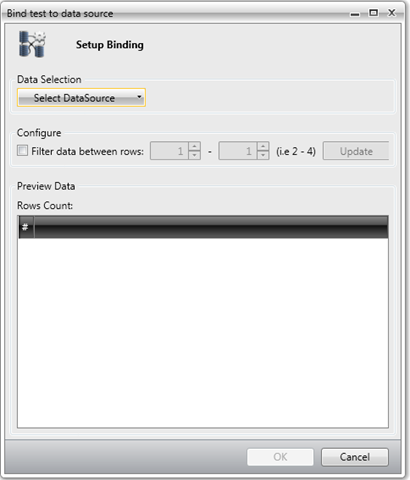 Click on OK button to add the data binding. In this way you can add a data binding to a test. Once data is bind to the test, you can see the database icon beside the test. 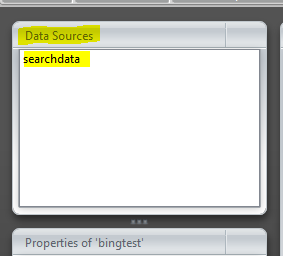 In below image you can see bingtest has been bind with the test. 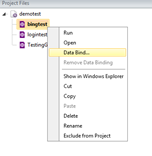 To remove data bind from the test, right click on the test and click on Remove Data Binding. In this way you can add and remove data binding from a Test. I hope this post is useful. Thanks for reading.